Discussion in 'Books & Comics' started by Suspiria, Aug 26, 2015. I read Phasma like a month ago and hadn’t really read any books since. It wasn’t until last week that I started and finished another book, From A Certain Point of View. Phasma was decent in my opinion. I liked the insight into her character, I enjoyed the character of Captain Cardinal, and I loved all of the First Order stuff in it. It felt too stretched out and I got sick of Parnassos. From A Certain Point of View had some really good stories, as well as some really bad ones. Off the top of my head, I really liked the Wuher, Model Nodes, Long Snout, Qui-Gon, Obi-Wan, Yoda, Lando, and Biggs Darklighter short stories. Some of the ones that I didn’t care for were the Mouse Droid, Dianoga, and TD-110, as well as some of the Tatooine based ones that wore out their welcome. They were becoming as coarse, rough, and irritating as the sand itself. Overall, I enjoyed it. Next, I’m not really sure what I’ll be reading. (I may need to make a trip to Half Price Books soon.) Some of the main books that I want to pick up soon are the novelizations for The Last Jedi, Solo, and the Original Trilogy, the canon novels of Leia: Princess of Alderaan, Legends of Luke Skywalker, Most Wanted, and Thrawn: Alliances, and some more Legends books, including Shadows of the Empire. I also look forward to Master and Apprentice and Queen’s Shadow coming out next year! I'm finally reading Lost Stars... I don't like Claudia Gray's writing style. I don't believe I'm using this term but she is overrated. I put the book down several times now, can't seem to get through it. I read Bloodline which to me was ok. I got through it most for the characters: Han and Leia. Oddly enough, I'm looking forward to Master & Apprentice another book by Gray releasing on April 2019. I think it delves into 2 Jedi that I'm interested in. I like reading about the prequel era. i found Lost Stars to be wildly overwritten. it could have easily been 100 pages shorter at least. that said, it's worth the journey ~ the ending is phenomenal. my advice: skim all the she thought, she felt, he thought, he felt. there's just a lot of redundancy in the telling. the story is really with the showing in this one. Found "glauben du musst" (believe you must) in our library a book about star wars and christian faith. It has yoda on the cover and and it has 8 chapters numbered IV,V,VI,I,II,III,VII,VIII. that alone makes it worth giving a try. Recently since yesterday Ive been reading Star Wars Coruscant Nights Book 1. Its pretty good so far. 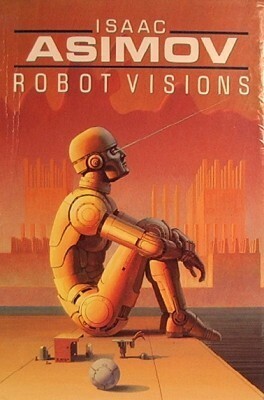 A collection of Asimov's short stories and essays about robots. I've read a lot of the short stories in other collections (its been a while in some cases) but not all, such as the title story which was written specifically for this collection. Like the companion book "Robot Dreams" it contains excellent cover art and illustrations by Ralph McQuarrie... who Star Wars fans know well. Finished A Reaper at the Gates! It was...good? I enjoyed reading it, but it felt like it took too long to get through; and I can't tell if that was simply my reading frequency or the book itself. Overall, if you like love triangles (I VERY MUCH DON'T*), you'll enjoy this book. I'll read the next one, but that's equally because of the Sunk Cost Fallacy and my interest (low, but not low enough to quit, which engages said fallacy). *But I do have a weakness for shipping, and my ship was not very present in this book. The main ship is predictable and frankly not as well done IMO. Novelizations are hit or miss but this one is great. It does what a good novelization should do, stays true to the film while also expanding on it. It gives some good back story for Snake, Hauk, Cabbie, Brain, the President, etc. 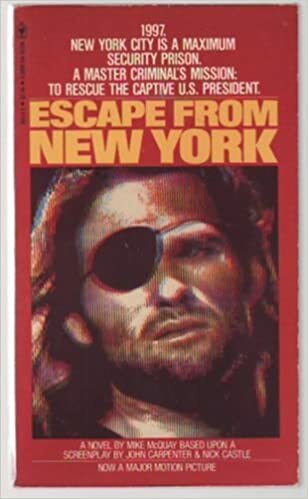 It also explores the setting explaining how the world got to be so messed up, the events leading to New York becoming a prison, talks about the war and the mission in Leningrad that Snake and Hauk were both part of, how Snake went from being a war hero to an outlaw and so on. If you're a fan of the movie it's a great read. I picked up two books today. One was a book I’ve been wanting to read for a while: Shadows of the Empire. The other one was one that I found randomly at Half Price Books: The Making of Revenge of the Sith. 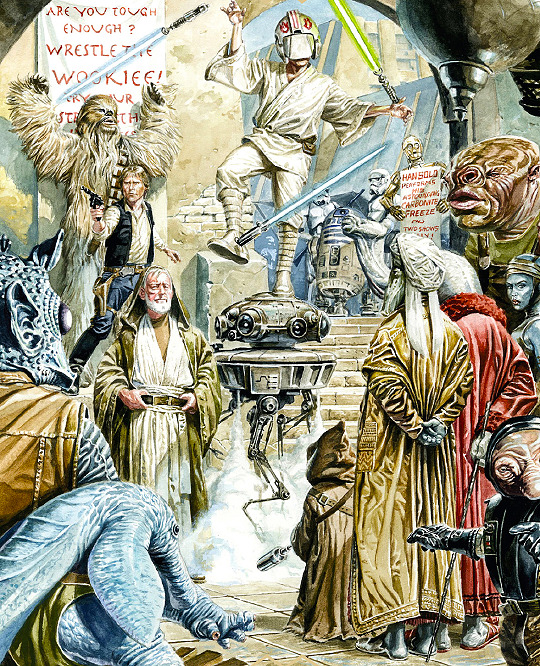 It is packed to the brim with behind-the-scenes details on one of my favorite Star Wars movies. I’ve already started reading and am already forty pages in. (There’s a lot of pictures, so reading through it has been a breeze!) I’ve already learned that the final Tatooine scene was filmed during the production of Episode 2. Crazy, right? I will definitely be going back sometime soon, as I’m gonna need reading material for when I go on vacation next month and I’ll probably already have both books done by then! It’s a perfect book for winter curled up in your favourite armchair by a log fire with a glass of your best whisky or a nice cup of Tea/Coffee if it’s a bit early for the strong stuff. I just started the Obi-Wan and Anakin comic, I'm looking forward to finishing it. It's like Dune and The Name of the Wind had a baby. 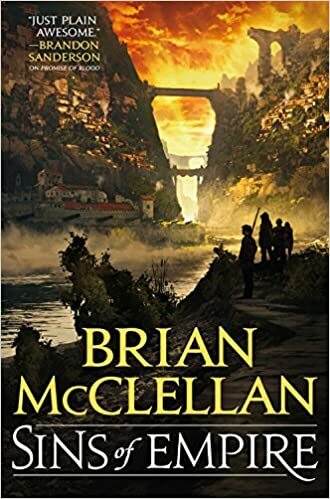 I'm enjoying the book, but it's long and honestly I really want to finish it or set it aside and get to Brian McClellan's Sins of Empire instead. Currently making my way through 2 very different art book. I’m also just stating on this beautiful book. I was lucky enough to go to this exhibit last year but I couldn't carry a copy of this home . Thankfully it now available online with home delivery so there’s that problem solved & I need a good coffee table book to enjoy over the winter. How was that by the way? Every night this week I've been revisiting my old Rurouni Kenshin collection (I blame going through the movies). It still stands out as a classic to me, and is still my favorite manga despite the author. I even found a place online that translates the new monthly Kyoto Arc. Rumors of a fourth movie are also bittersweet as I'm happy that they might adapt the Enishi Arc (the last major arc in the original run), but I'm not sure it'll ever reach western audiences, meaning no subtitles. Well when I finally get around to starting it I will let you know it still just sting there next to my bed waiting for me . Hopefully some time between Christmas & New Yeari will get around to starting it. While I have seen many film adaptations and countless homages and parodies in film/television of the story (I love Bill Murray's "Scrooged") I've never actually read it. I haven't read any Dickens since school (decades ago) when they had us read Great Expectations, Oliver Twist, etc. Being Christmas I figured I would knock this one out. It's short and sweet but I'm only to the part with the first ghost, it's entertaining so far. Got this as a Christmas gift from a friend who knows I like The War Of The Worlds. 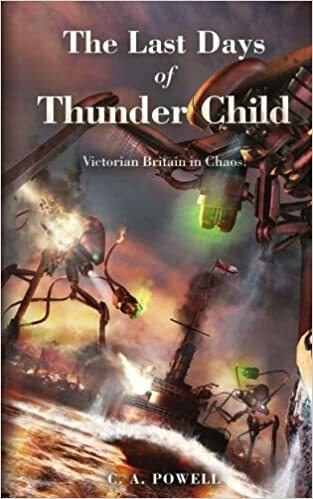 In the original novel the HMS Thunder Child is the brave ship that sacrifices itself to save the evacuating ships from the oncoming tripods. It's also the name of one of my ships in Elite Dangerous. This is all about the ship and crew during their final cruise and as they watch the war unfold. So far it's really good, I'm about 2/3 through it and even though I know how it ends I can't wait for the climax. I am feeling like reading nozomu nozomi manga too much these days. I like this manga. This manga character is so nice. What will you be watching/reading regarding The Last Jedi before release?